The names listed in our post are household names not only in Nigeria but in the whole Africa as well. Talent and hard work helped them to become some of the richest people in the country. Are you interested in their net worth? Paul Okoye, the former member of the P-square duo and his brother were thought to be the most famous and wealthiest musicians among African music acts until they split up last year. Nevertheless, he still takes the prominent place in the music industry, but his net worth has not been estimated yet, it is in progress. However, his net worth is said to be lower than his brother’s. Peter Okoye, also known now as Mr. P, is doing well as a solo artiste after P-square split, P-square’s net worth was estimated at $42 million. Peter Okoye has solo endorsements deals with Kia motors, Olympic Milk and others, so it was rather easy for him to become a solo artist. He is also working on his new clothing line now. Oluwatobiloba Daniel Anidugbe whose stage name is Kiss Daniel, is a famous singer, songwriter, entertainer, and producer in Nigeria. He is widely popular for his fascinating songs such as ‘Sofa,’ ‘Yeba,’ ‘DAYZ,’ ‘No Do’ and others. Kiss Daniel total net worth is counted at $1 million. His breakthrough was due to the song ‘Duro’ with 26 million YouTube views. However, the breaking hit song is considered to be ‘Duro,’ but his greatest single yet is thought to be ‘Pana,’ which has 36 million Youtube views, as well as many downloads on iTunes. His net worth is about $1.1 million. Chidinma Ekile is a female Nigerian artist worth being in the top 20 richest musicians in Nigeria. Her net worth is estimated to be $1.2 million. M.I is a successful Nigerian rapper, as well as the primary stakeholder in Chocolate City Records. M.I net worth is estimated at $1.5 million. Here is another successful female representative of Nigerian music. She gained her fame after releasing a hit single “Jonny”. What is more, in the year 2017 this track was recorded to have more than 69 million views on Youtube. Besides this, she has many other great songs, which she presents during her live performances all over the world. Yemi Alade net worth is said to be $1.8 million. Kcee net worth is estimated at $1.8 million, which made him enter this list of richest musicians. He has received several awards, which include The Headies Awards for song of the year category, the City People Entertainment Awards, and others. In 2013, this artist was a brand ambassador to Telecom giant, MTN Nigeria. Also, he is an ambassador for Air Peace airline company. And in 2015, he signed in with the soft liquor business, Magnum. Tiwa Savage is a Nigerian singer, songwriter, and businesswoman. Besides this, she is also a dancer, who has performed internationally. Her net worth is evaluated at $2 million. Timaya is a successful Nigerian artiste, who has earned much on his singing career. 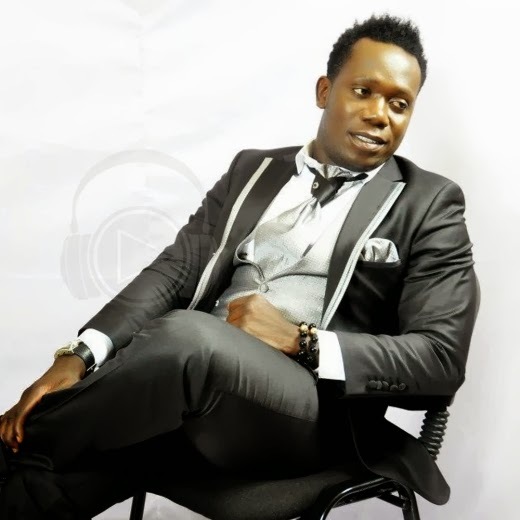 His albums ‘True Story,’ ‘Gift And Grace,’ ‘De Rebirth’ and ‘Long Life N Prosperity’ contain many hit songs. He is known to charge between 1.5million to 4million Naira per performance. Now he is the CEO of Dem Mama records created in 2013 and has endorsements deals with Nigerian Glo and Hennessy. Timaya’s estimated net worth is about $2 million. Olubankole Wellington, also known as Banky W, is a Nigerian singer, songwriter, rapper and an actor. Music is not the only thing that made him one of the wealthiest musician in Nigeria, he also co-established Empire Mates Entertainment. Moreover, he is the first official ambassador of Nigeria Samsung electronics, as well as a brand ambassador for multinational companies like Uber, and Ciroc ultra-premium vodka. His net worth is estimated to be around $1.5 million. Chibuzor Nelson Azubuike, whose stage name is Phyno, is a rapper, songwriter, singer, and producer. He is known to be a talented fast rapper and is placed among the five fastest rappers in the country. He started his rapping career using Igbo dialect, but then entered Lagos and met Olamide. He also worked alongside such artists as Timaya, Flavour, and others. Now he is a brand ambassador of Nairabet, GLO. His net worth is estimated at $2 million. Olamide Adedeji, whose stage name is Olamide, is a handsome, talented and creative rap artist. He sings mostly in the Yoruba language, and his hits are ‘Ilefo Illuminati,’ ‘First of all,’ ‘Stupid Love,’ ‘Voice of the Street,’ ‘Dami Duro,’ and others. He was titled many times and won lots of Music Awards. Olamide has earned on his world tour shows across UK, Europe, and America. Besides this, he’s a Hennessy & Glo ambassador and CEO of digital TV channel VOTS (Voice of the street), as well as the Chief Executive Officer (CEO) of YBNL Nation Record Label. Olamide net worth is around $10 million. Star boy Wizkid, is thought to be the greatest music export out of Nigeria during the last four years. His enormous achievements include local and international awards and nominations. He also earns a lot from deals. Thus, he became a Guinness brand ambassador in 2013, a Pepsi brand ambassador and a Glo brand ambassador. He is also a CEO of Starboy Entertainment. Today Wizkid net worth is estimated to reach $12 million. David Adedeji Adeleke, whose stage name is Davido, is known to be a singer, Nigerian entertainer and record label producer. Davido has worked a lot to make the most money among all others Nigerian artists during the last 12 months. He has produced the most hit songs in the past year, as well as has been touring through the world performing at concerts during the ‘30 Billion Tour’. This year has brought him new endorsements with perfume brand AXE, Infinix Mobility, and others. Thus, hard work and new deals make his net worth rise to $16 million. Chinedu Okoli also known as Flavour N’abania, is another famous Nigerian singer, songwriter, and producer, as well as a well-built model. Flavour was nominated many times and won many Awards. His albums are ‘N’abania,’ ‘Uplifted,’ ‘Blessed,’ ‘Thankful,’ and ‘Ijele the traveler.’ Flavour is known to be the brand ambassador of Flat tummy tea, the brand ambassador of Nigeria Breweries Life Beer and Energy Drink Bullet. And his net worth is estimated at $3 million. 2Baba is a famous Nigerian R&B singer, songwriter, stage performer, and recording artist. His albums are ‘Face two Face,’ ‘Grass two Grace’ with hits singles ‘African Queen’ and ‘True Love.’ He is a various Awards winner and a creator of the “Hypertek Entertainment” record label. Now he has endorsements with Glo, Campari, and others, as well as possess some real estate investments including his Rumors Night Clubs in Lagos. 2Baba’s net worth is estimated at $8.5 million. D’banj is a famous singer, songwriter, TV personality, and entrepreneur. He has worked and performed with such international artists as Fally Ipupa, Tinie Tempah, Kid Cudi, Akon, and Big Sean. Besides this, now he is a Glo brand ambassador, Bank of industry ambassador, Ciroc Nigeria ambassador, Slot ambassador, and UAC food ambassador. Thus, recently D’banj net worth was evaluated at about $32 million. Michael Ajereh Collins also known as Don Jazzy and he is on the top place on our list of the wealthiest musicians in Nigeria. His career moved steadily from being a beat maker to a producer and a businessman. Now he is the CEO of Mavin Records which produces such top stars as Tiwa Savage, Reekado Banks, Korede Bello, and others. Besides being a producer, Don Jazzy has signed lucrative contracts with Loya milk, with MTN, and with Konga as well. He is also a brand ambassador of Samsung in Nigeria. Don Jazzy net worth is estimated at $35 million. Now you know the latest information on the Nigerian music industry artistes and their incomes. Just listen to their music and enjoy their great works!